We design our electrode welding ovens considering the always changing demands of the market. Staying up to date with the recent market developments also helps us in satisfying the demands of our clients with better efficiency. The name Meta Therm Furnace Pvt. Ltd is taken among the distinct Electrode Welding Oven Manufacturers In Mumbai, and we have managed to attain this position by consistently delivering top-quality products into the market. We also offer the option of customization upon request to delivered tailored products. 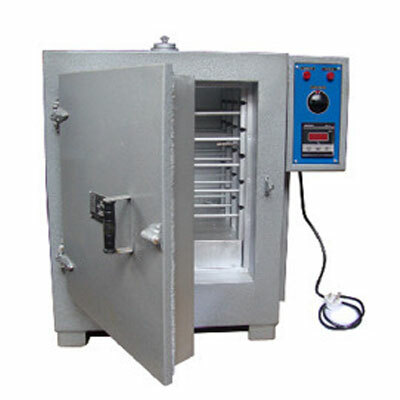 Utilized in a wide range of industries, our ovens are manufactured with grade quality material for great durability. Adjustable Air Flow - The air flow circulation is adjustable according to your own set of requirements. Affordable - You can avail these ovens at highly reasonable prices. So, don’t worry about exceeding your budget. Latest Technology - Our ovens work on the latest technology so that you never stay behind your competitors. We are one of the most illustrious Industrial Electrode Welding Oven Exporters and Suppliers In India. Share your details with us by filling the enquiry form to know more about our products.